YPG fighters hold their weapons on a street in the Sheikh Maqsud neighbourhood of the northern Syrian city of Aleppo on Oct. 28, 2014. Despite a commitment of about half a billion dollars from Washington, the “New Syrian Force” being trained by the U.S. to fight ISIS doesn’t really exist. This was evident even before five of the 60 fighters in the group were captured by al-Qaida last week. There were supposed to be 15,000 of them. The PKK and its Syrian offshoot have evolved quite a bit in recent years, both in tactics and ideology. 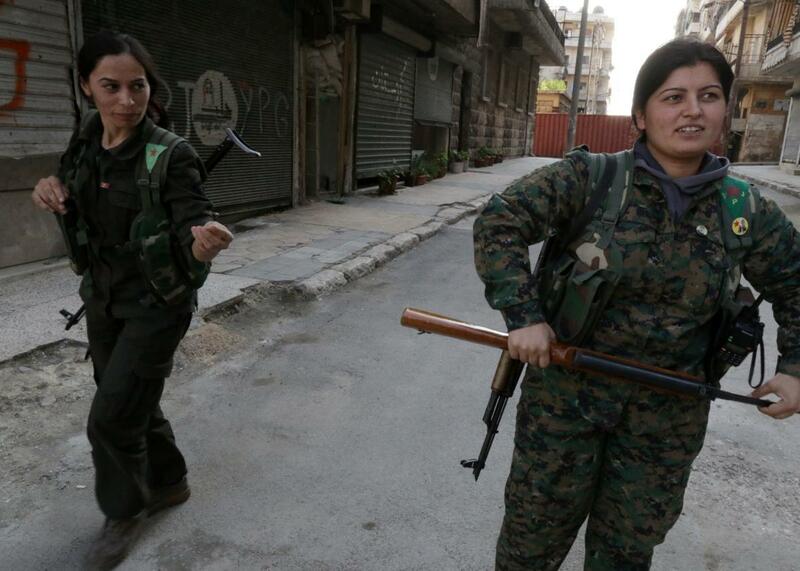 Their pro-Western stance and the prominent role of the YPG’s female fighters in the battle against the horrifically misogynist ISIS have inspired sympathy in the U.S., with some calling for the PKK to be delisted and the YPG to be provided directly with arms. It wouldn’t be the first ex-Marxist terrorist group to reinvent itself in Washington.) Unfortunately, as the International Crisis Group notes in a new analysis, the advantages to supporting the YPG may start to diminish as it moves from recapturing Kurdish towns to Arab-majority areas where it’s viewed more suspiciously. Things are made more complicated by the fact that the U.S. is getting behind the YPG at the same time that it’s forging a new partnership against ISIS with the PKK’s arch-enemy, Turkey. A ceasefire and promising peace talks between Prime Minister Recep Tayyip Erdogan’s government and the PKK collapsed in July with PKK-linked attacks that killed 18 Turkish soldiers and police prompting Turkish airstrikes against the group in Turkey and Iraq and the arrest of hundreds of its alleged supporters. Under the terms of a recent agreement, the U.S. has begun sending jets and personnel to a Turkish base for airstrikes within Syria, and the two wary allies are working on plans to establish a non-ISIS buffer zone. But as I noted last week, the prospects for that partnership are a little unclear as long as Turkey is at war with America’s main on-the-ground ally, preventing the Kurds from being the effective force needed to turn the tide in the war. Erdogan has accused the U.S. of supporting “terrorists” in Syria, which, to be fair, is true according to the State Department’s own definitions. It’s an indication of just how well the war against ISIS is going that right now, this nonsensical arrangement is probably America’s best available strategy.